A favorite of mosaic artists everywhere! Inexpensive, easy to use and stunning. Assorted sizes, colors and shapes. 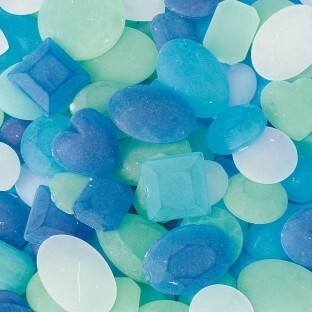 A favorite of mosaic artists everywhere - replicated sea glass pieces are inexpensive, easy to use and stunning. Assorted sizes and colors. Sizes range from 14 to 25mm. Approx. 200 pieces. I use these as a sorting manipulative for preschool. They are a beautiful natural material that provide visual and tactile interest.